Irvine offers the most open space anywhere in Orange County and is just minutes away from miles of coastline and beaches. Spend the day on the Mountains to Sea Trail; a 22-mile trail that takes you from Weir Canyon through six Orange County jurisdictions to the Upper Newport Bay. Whether you travel by bike, horse, rollerblades or foot, it is a beautiful journey through the historic 93,000-acre Irvine Ranch. And don&apos;t be afraid of the length, the trail is flat, surfaced and wide! 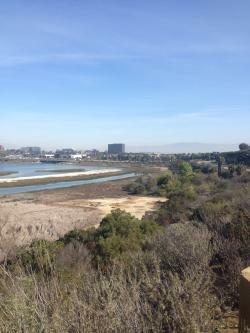 Irvine offers more than 50 miles of off-road and over 300 miles of on-road bike trails. 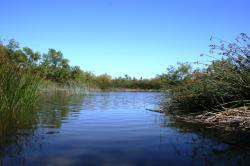 The 475-acre park offers a paved bicycle/walking trail that provides easy access to horseshoe pits and a lake. Rent a paddle boat for an afternoon on the water or a surrey and explore the area. There&apos;s also a three-mile equestrian trail that skirts the perimeter of the central park providing scenic views. 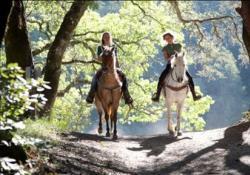 Rent a horse and meander the land on horseback. Located smack dab in the middle of Irvine, San Joaquin is definitely a favorite of birds and birdwatchers so bring your binoculars and catch a glimpse of blue heron, brown pelicans and hundreds of other species. 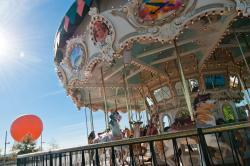 The Great Park offers a wide range of fun, family-friendly activities. Make sure to check days and times as all things are not offered every day. We suggest heading to the Great Park Friday - Sunday during the summer months as they almost always have an event taking place. Palm Court Arts Complex: Home to the Great Park Gallery and Artists&apos; Studios which houses the artists-in-residence program. Great Park Balloon: An iconic image in Irvine, the orange, helium balloon silently soars into the sky to a height of 400 feet and offers riders a 360-degree view that spans 30-40 miles on a clear day. Farmers Market: Every Sunday, the market offers up Irvine&apos;s finest spread of organic food and handmade treasures. When you are only minutes from Orange County beaches, it would be a shame not to enjoy them. 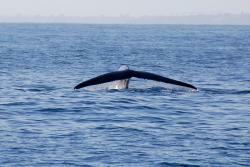 This is Southern California&apos;s whale watching at its finest. Year-round tours offer the opportunity to see Grey Whales from December through April and to see Blue Whales from May through November. If you have never tried stand up paddle boarding Pirate Coast Paddle offers lessons. For those of you ready to dive right in rentals are available. Pirate Coast also has a handful of activities like Yoga on the Water & Paddle and Popcorn nights!